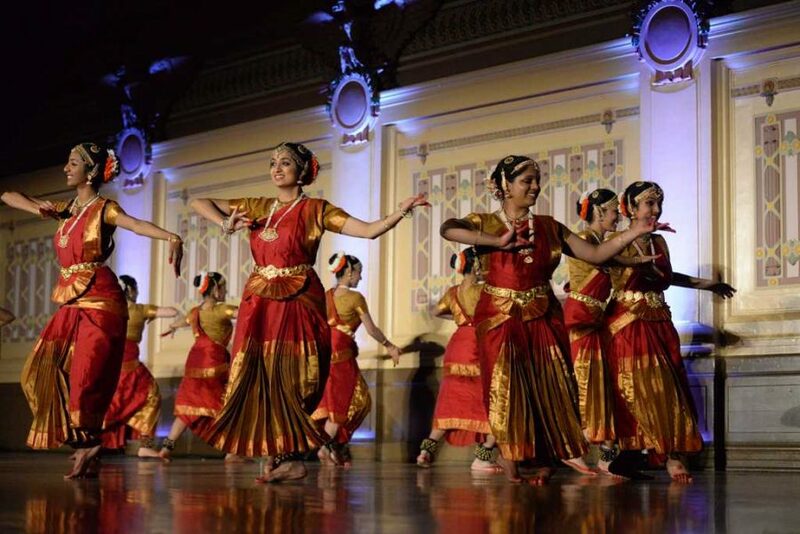 Dressed in traditional garb and telling religious stories through Indian dance, eight teams raised more than $10,000 for a local health clinic at Pitt’s annual Dhirana competition this weekend in Soldiers and Sailors Memorial Hall and Museum. 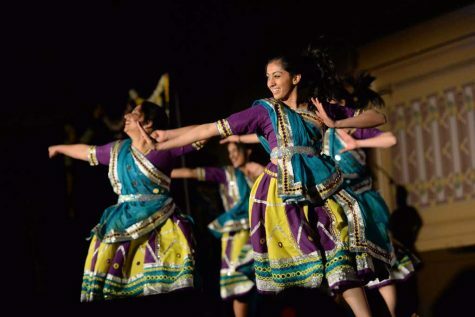 On Saturday night, eight Indian dance teams from around the country faced off in Pitt’s fourth Dhirana competition. The annual Indian classical dance-off raises money for the Pittsburgh Birmingham Free Clinic — an organization that offers medical care for uninsured or medically vulnerable individuals. 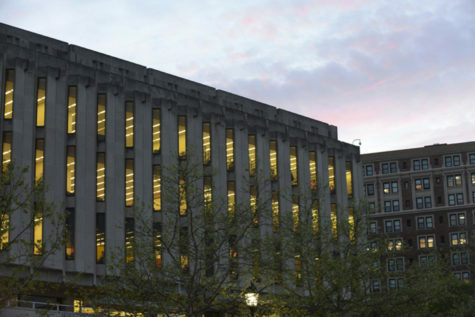 According to Kamalini Ghosh, the co-director, about 700 people attended the event. 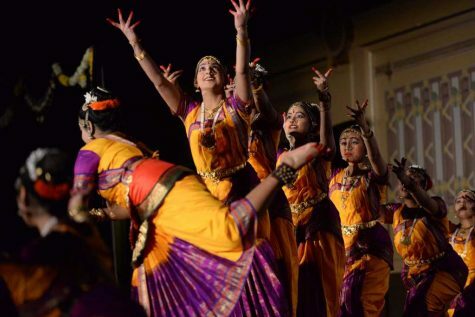 Pitt Nrityamala, a 15-member, all-female team, opened the night with with a Pushpanjali, an opening prayer dance featuring synchronized hand movements and twirls. 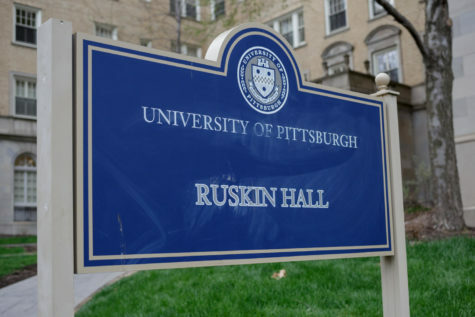 Four Pittsburgh dance teams performed throughout the night but did not compete, as they hosted the event. 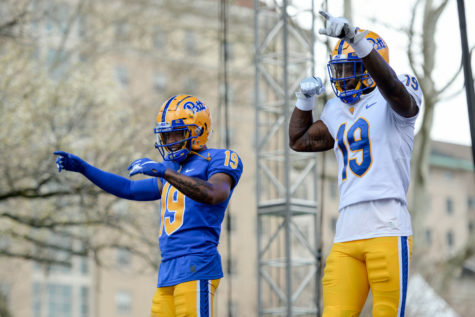 Ghosh, a senior neuroscience major, said she recognized the dancer’s dedication from her own time on Pitt’s Nityamala’s team. Ghosh was on the team for two years before leaving to act as co-director. 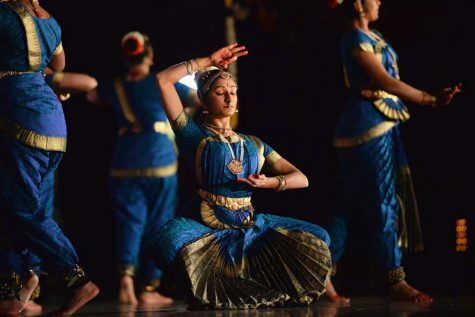 Ishita Srivastava, co-captain of Nrityamala and a sophomore neuroscience major, has been on the team for two years and has danced Bharatanatyam for 13 years, an experience she credits for some of her happiest moments. ”I feel nervous getting on stage but as soon as I start performing, everything falls into place,” Srivastava said. 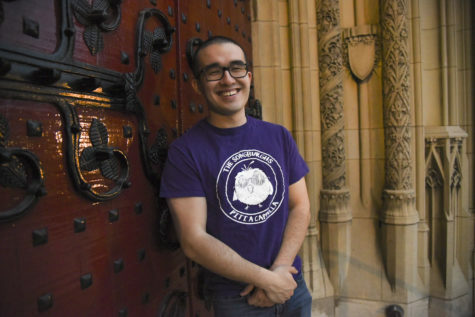 This year, Dhirana broke its fundraising record — about $10,400 for the Free Clinic through ticket sales — according to Tyler Galvelis, a senior neuroscience major and Dhirana’s co-director. 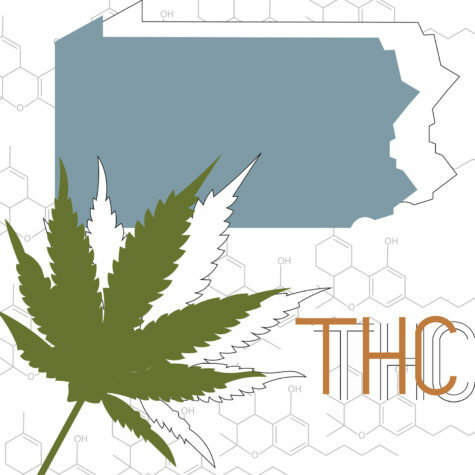 Mary Herbert, a Pittsburgh Birmingham Free Clinic spokesperson, said the organization is very grateful for the support from Pitt’s Dhirana team. In the past, the Clinic has used the money to purchase an ECG machine and recently began allowing colonoscopies at the clinic, according to Herbert. One of the first patients for the procedure was found to have a benign polyp that, over time, may have become malignant. 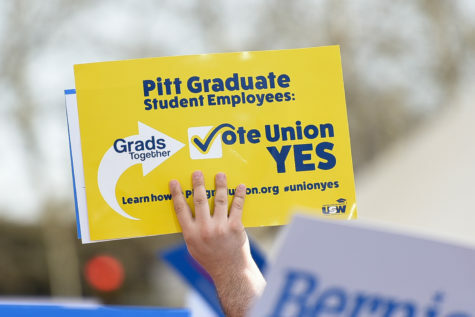 Ghosh said since the competition’s inception, Pitt’s Dhirana has always donated money to the organization. “We support the clinic because we appreciate what they do for the community and we want to help them achieve their goals,” Ghosh added. A panel of six judges of professional dancers from the Pittsburgh area, some of whom also teach dance, awarded trophies to the three winning teams. The University of Maryland’s Moksha team took first place for its performance telling the story of a king who fails to control his own insecurities and begins to oppress his people. The dancers show a king who, after being insulted by one of his peasants, begins to feel insecure. 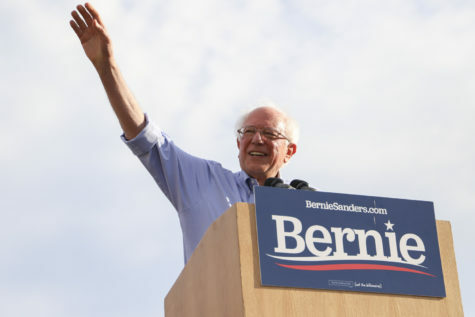 In his emotional toil, he starts to use force to control his people, which leads to his own demise. The yellow- and purple-clad dancers acted out the scenes of his spiral into madness in a dramatic and rhythmic performance. Moksha beat out University of California, Berkley’s Natya team, who took second place, and Johns Hopkins University’s Shakti, who claimed third. 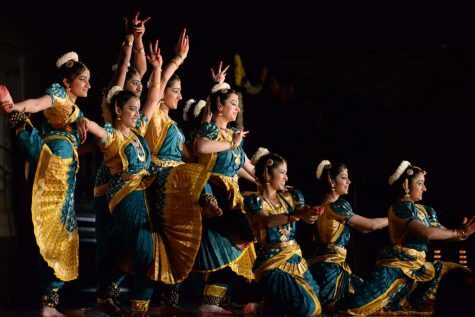 A seventh judge, who represents the Srinivasa Prasad International Foundation for the Performing Arts, gave a separate awards to George Mason University’s Mahima and the University of California, Berkeley’s Natya for sticking to tradition. 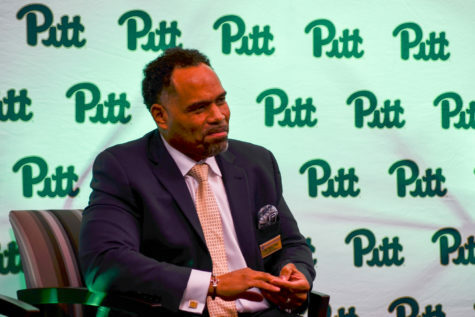 Galvelis said the group pays for the event through fundraising efforts and sponsorships from local organizations, such as Tamarind, an Indian restaurant. According to Ghosh, SPIFPA is the largest sponsor for the event. The foundation normally donates around $3,000 to Dhirana but the exact amount varies based on the board’s decision. 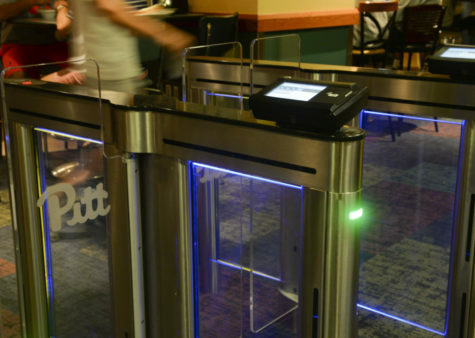 The idea for Pitt’s Dhirana came after Pitt won Laasya, a traveling intercollegiate dance competition in 2011, according to Ruhee Jain, co-fundraising chair. 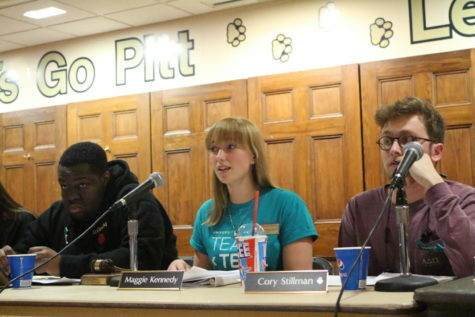 Pitt hosted Laasya the year after and, after the experience of hosting one competition, decided to host an annual event. “It’s the proudest thing I’ve ever done,” Jain said. 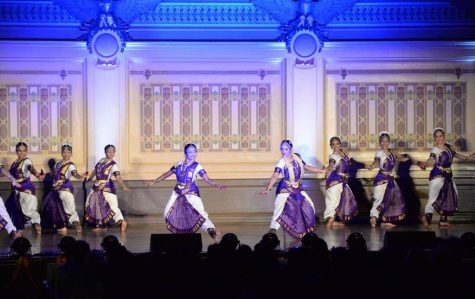 Editor’s Note: At the Dhriana event Sunday night, a judge awarded the University of California, Berkeley’s Natya the prize for tradition. That judge was incorrect and awarded the prize to the wrong group. George Mason University’s Mahima was supposed to receive the tradition prize. After discussing the matter on Monday, the judges decided to award the prize to both groups. The story has been updated to reflect this change.